When accessing the internet or any network, small units of data called packets are sent and received. When one or more of these packets fails to reach its intended destination, this is called packet loss. For users, packet loss manifests itself in the form of network disruption, slow service and even total loss of network connectivity. Any application can be disrupted by packet loss, but the most likely victims are applications that rely on real-time packet processing, such as video, audio and gaming programs. Today's business network is the foundation of business performance. When the network experiences performance issues, it is ultimately the business that suffers. Network performance can be affected by a number of operational problems, and packet loss is one of the most common. But, what is packet loss, how is it caused and what can you do to prevent it and ensure your business network continues to operate at its best? Network congestion, as its name suggests, occurs when a network becomes congested with traffic and hits maximum capacity. Packets must wait their turn to be delivered, but if the connection falls so far behind that it cannot store any more packets, they will simply be discarded or ignored so that the network can catch up. The good news is that today's applications are able to gracefully handle discarded packets by resending data automatically or slowing down transfer speeds. Software bugs are another common cause of packet loss. If rigorous testing has not been carried out or bugs have been introduced following software updates, this could result in unintended or unexpected network behavior. Sometimes rebooting can resolve this issues, but more often than not the software will need to be updated or patched. Faulty or outdated network hardware such as firewalls, network switches and routers can slow down network traffic considerably. As a company grows and starts to experience lag, packet loss and total connectivity drops, this hardware needs to be revised and updated so that it can manage the growing throughput. In addition to problems with software and hardware, packet loss can also be caused by a security breach. One such attack that has become popular with cybercriminals in recent years is the packet drop attack. During an attack, a malicious user takes control of a router and sends commands that drop packets into a stream of data. If you suddenly notice high rates of packet loss across your network, it could be a cyber attack in progress. There are a number of ways to resolve packet loss issues, and the solution you choose will depend on the specific reason for packet loss. In cases where hardware is at fault, the hardware will usually need to be replaced with new appliances that are able to cope with maximum throughput. If network congestion is the cause, you have a number of options available to you. Increasing the bandwidth of your link can help to reduce congestion, and you may also want to consider a Quality of Service (QoS) solution that allows you to set a higher priority for any real-time traffic on your network. 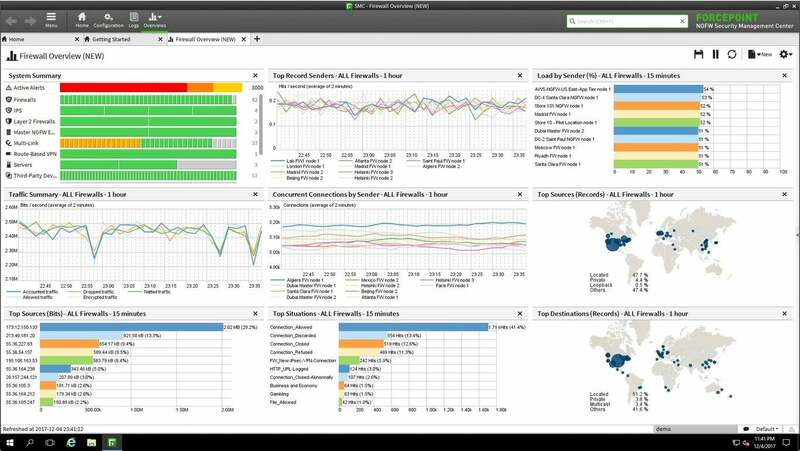 Forcepoint's Next Generation Firewall offers centralized security management and also advanced clustering capabilities that allow you to cluster up to 16 different appliances for longer lifecycles, unrivaled scalability and seamless updates without packet loss.